A few additions to my '65 Philadelphia set. 68 cards left. Last edited by Showdawg; 08-13-2018 at 04:14 PM. Great pickups Robert and Showdawg! 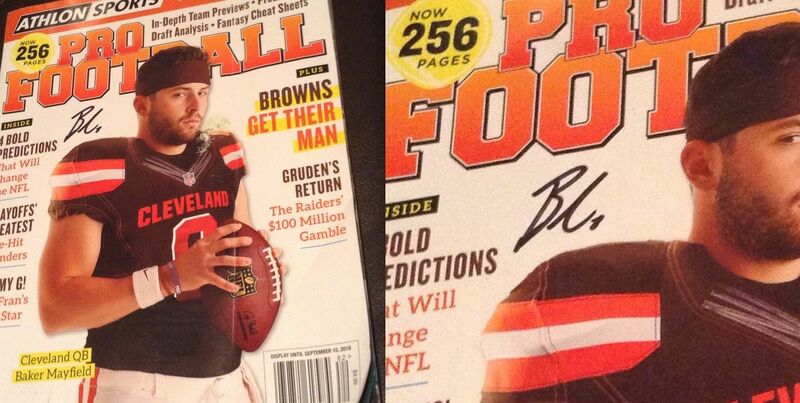 I hope Baker doesn't turn out to be another ... Couch ... Manziel ... etc. Would like to see the Browns competitive again. Picked up my first Baugh card at a show today for $2. Avert your eyes, centering freaks! Few of my recent pick ups! 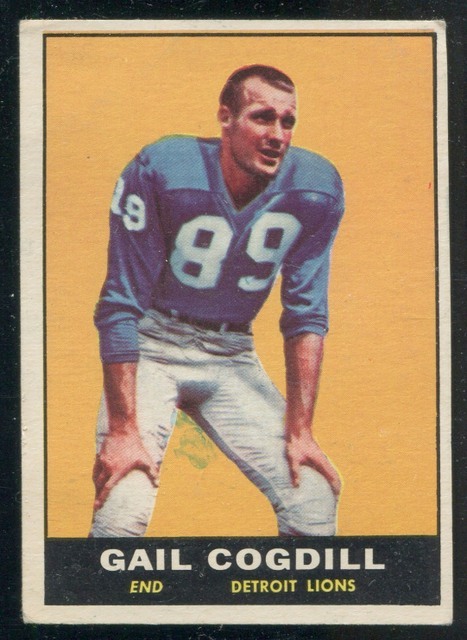 Is there a holy grail of CFL cards, or if not what are considered the top few cards? 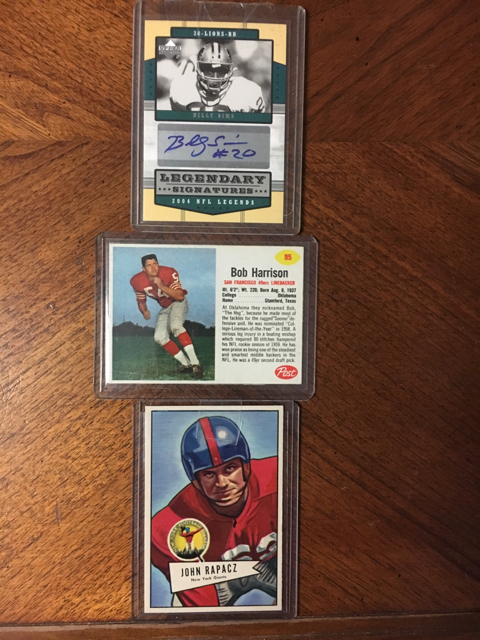 Not sure what is considered top CFL but here are my few high graded ones of HOFers too. Warfield my favorite of the 3. Looks better than some 4-6's I could afford . Love the Warfield and love it that there are beautiful "Good 2"s out there for us to find. That IS an awesome Warfield! Why is it graded a 2? I don't see anything wrong with the front so is there an issue on the back? Regardless it is simply a beautiful card. Thought this was an interesting postcard of the St. Mary's Gales, who traveled to the Polo Grounds to play Fordham every year from 1932 to 1936. 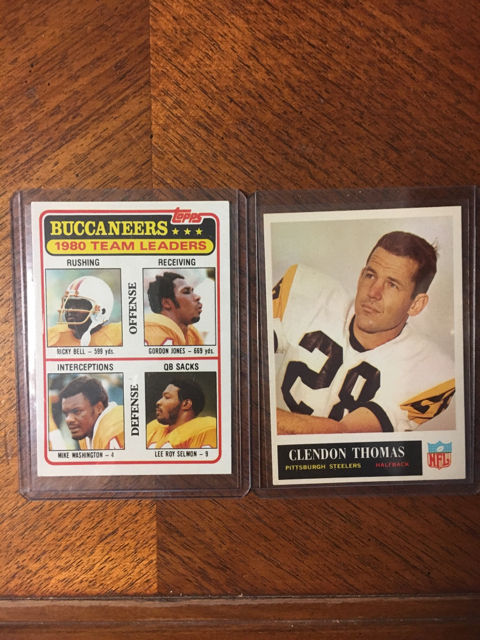 Finally added a card to my almost completed 1963 Fleer set #6 Charles Long RC (and a short print)! The Standard Catalog says the two SPs in the set (#6 and #64) were pulled to make room for the unnumbered checklist card. 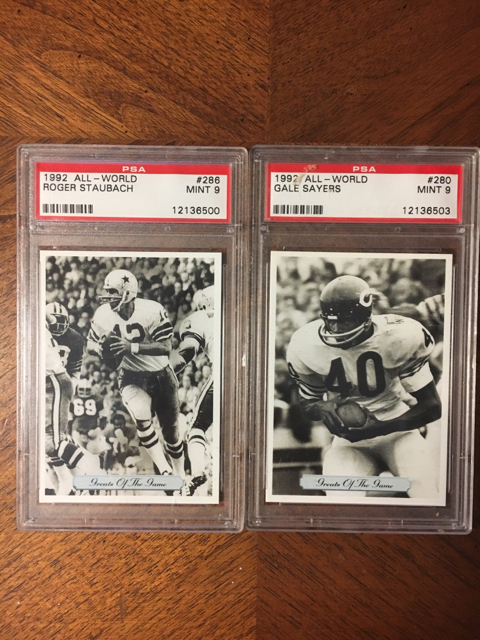 Now just two cards left #23 Cookie Gilchrist RC and #47 Len Dawson RC. Happy to add this one. I thought I had the only graded signed 1949 Leaf Sammy Baugh, but one popped up on the pop report then eventually on Ebay, so I had to get it and upgrade my other one. Still in the hunt for a signed 1948 Leaf Baugh but the one in the last REA auction went for crazy money. Picked these up recently..I collect Oklahoma Sooner players for the most part. Liked Staubach and Sayers growing up and they were at right price so got them to. I collect Paterson Panthers stuff if anyone has anything. Some new cards..only worth is in the eye of the beholder on my Sooner cards! Trying to get at least 1 card of every Sooner player who has ever had one made ! 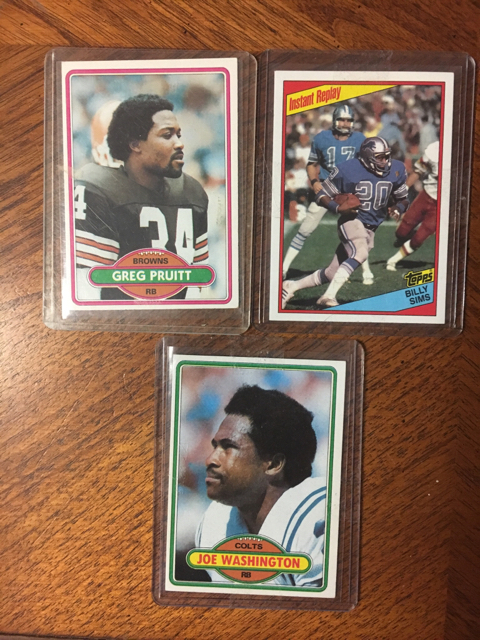 Here are 3 new ones I picked up..l like getting auto cards when I can. Hi...was Paterson Panthers a local team from your area? What got you interested in that particular team? Nice program by the way...I love programs and othe ephemera! Semi Pro, at one time was a farm team of the NY Giants. I was born and raised in Paterson NJ. awesome! estate sales and garage sales and local flea markets! especially if you can pinpoint estate sales from people who are related to former players! good luck..i bet that's a tough team to find items from. They are tough especially when sellers live under the delusion that rarity=expensive. I have quite a few and never paid over $40 but once and that was because they played an NFL team. I would have many more but I refuse to overpay. yeah..i just checked ebay and see what you mean on pricing. i did notice some team pictures from 1937 and 1939 offered by r.cedeno. I have bought a ton of jim thorpe pictures from her and you can usually give her an offer of less than half of her 'bin' price and she'll accept. they will have been taken out of spalding and reach catalogues. i collect jim thorpe items and have bought alot of catalogue photos of him and team pics with him in it from her. pictures of teams that go with the programs might be a nice addition! just an idea! Ive bought from her too, I wish the pics were bigger but they are cool. Just back from PSA. Raw purchase from the summer. I decided to start a graded HOFer RC PC and picked the Elway up at the LCS today. Got the Pujols at the same time, but I know he's not a HOFer. May be at some point though. Needless to say, I was very happy with the acquisition since I valued the trio at poor condition based on how they looked in the holders. Last edited by Exhibitman; 12-29-2018 at 10:00 PM. 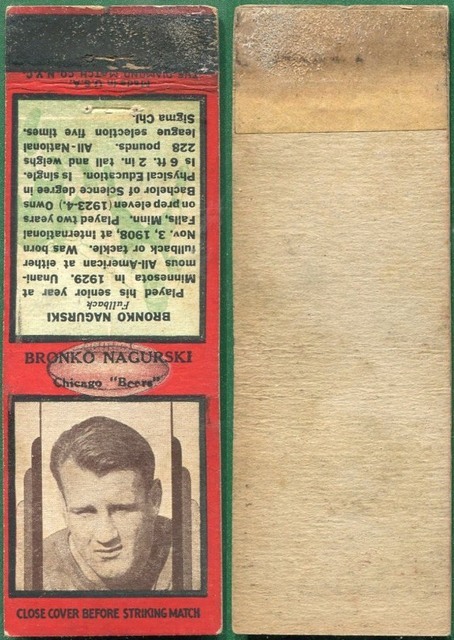 One of only a few non-Chicle options for owning a Nagurski. Adam it sure looks like it. Wow, Adam and Peter turning up the heat! Been collecting Paterson Panthers for many years, this is the first ticket stub I have ever seen. Picked up another Paterson Panthers program. Beat up but I still love it.